A Christmas Tree comprises a series of valves, spools, a choke, and connection. It used for production or injection wells such as oil wells, gas wells, water injection wells, water disposal wells, etc. It provides a means of controlling the effluents, ensuring the safety of the facilities and giving measurement tools access to the well. The Difference Between a Wellhead & Christmas Tree? Many times, the words Christmas Tree and Wellhead are used interchangeably; however, a wellhead and Christmas tree are entirely separate pieces of well equipment. A wellhead must be present in order to utilize a Christmas tree and is used without a Christmas tree during drilling operations. Producing wells that require pumps, such as Sucher Rod Pumping Systems, frequently do not utilize any tree due to no pressure containment requirement. A Christmas Tree often provides numerous functions including open or shut-in the well via wing valve, control and adjust the flow rate via the choke bean, place the well in safe conditions via master valves. Also, it includes additional functions such as chemical injection points, well intervention means, pressure relief means (such as annulus vent), tree and well monitoring points (such as pressure, temperature, corrosion, etc.). 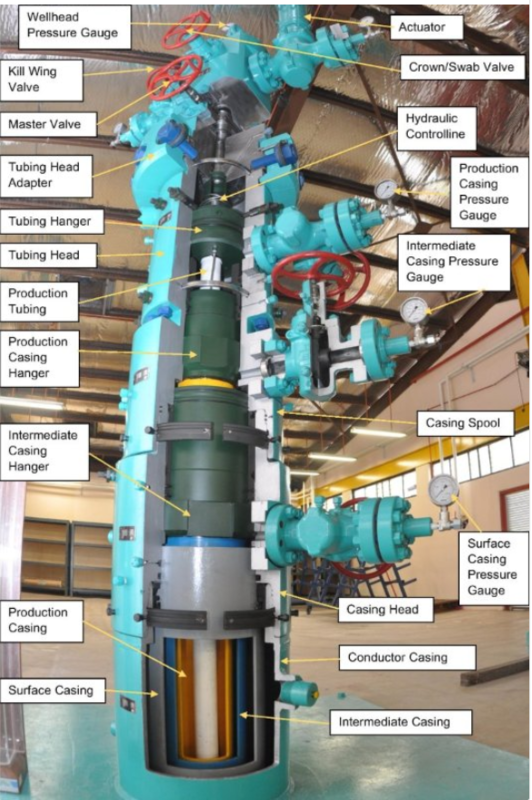 All of this is completed by one or two wing valve and a production choke. The two lower valves are called respectively lower master valve and upper master valve. During normal production, the lower master valve is kept open while the upper master valve is used to place the well in safe conditions and is often hydraulically or pneumatically actuated. The right-hand valve is often called production wing valve beacause it is in the flow path of production fluids. It is often manually controlled but it can be motorized so that remotely actuated. 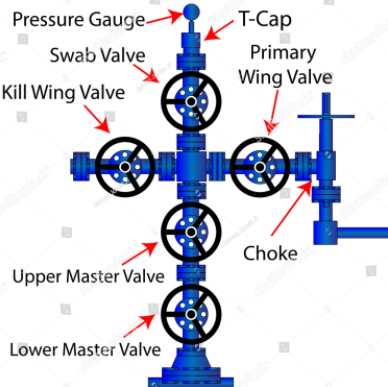 The left-hand valve is often called kill wing valve. It’s primirsly used for injection fluids. 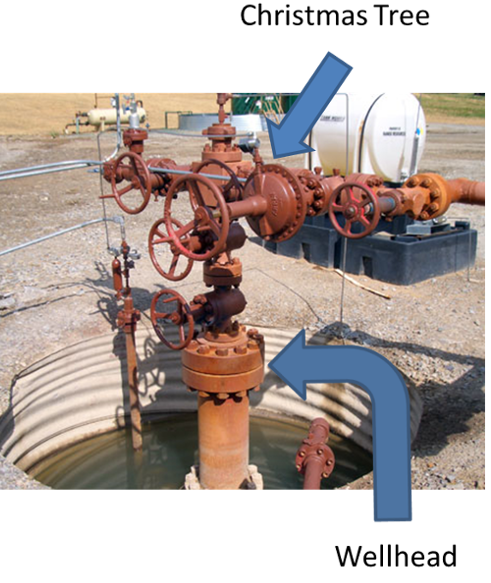 The valve at the top is called swab valve and it is used for well interventions like slickline, wireline or coiled tubing. Tagged annulus vent, choke bean, Christmas Tree, Christmas Tree & Wellhead, Christmas Tree Compounds, lower master valve, master valve, production wing valve, swab valve, The Difference Between a Wellhead & Christmas Tree, upper master valve, well intervention, Wellhead, wing valve. Bookmark the permalink.